Grilling on a wooden plank is a lot like using a pan, except the plank has the ability to produce smoke. This method is great because it provides a stable surface to put food on while giving it an authentic smoke flavor. This is particularly good if you are grilling something delicate like fish fillets. In fact, this method was developed to accommodate fish, though you can cook a wide variety of foods using a plank. Start with a clean untreated piece of wood, about 1 inch thick, making sure the length and width are sufficient to hold the item being grilled. Typically people use cedar, but many kinds of wood like alder, oak, maple, cherry or apple are acceptable. However, make sure the board is not chemically treated. You can buy cooking quality wood planks either online, specialty food stores, and grocery stores. Before placing the plank on the grill, make sure to soak it in water for at least an hour. This will allow the wood to absorb as much moisture as it can, giving the time needed to get the fish completely cooked before the board starts to burn. 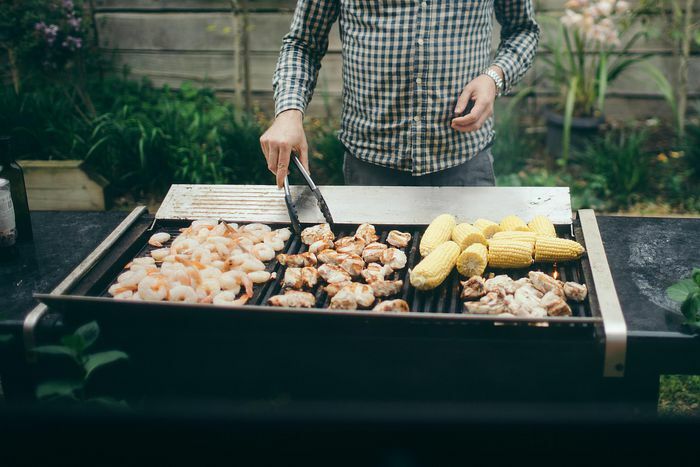 If you notice that the board has caught fire on the grill, spray it down with water to staunch the flames, but keep in mind that it should burn a little. 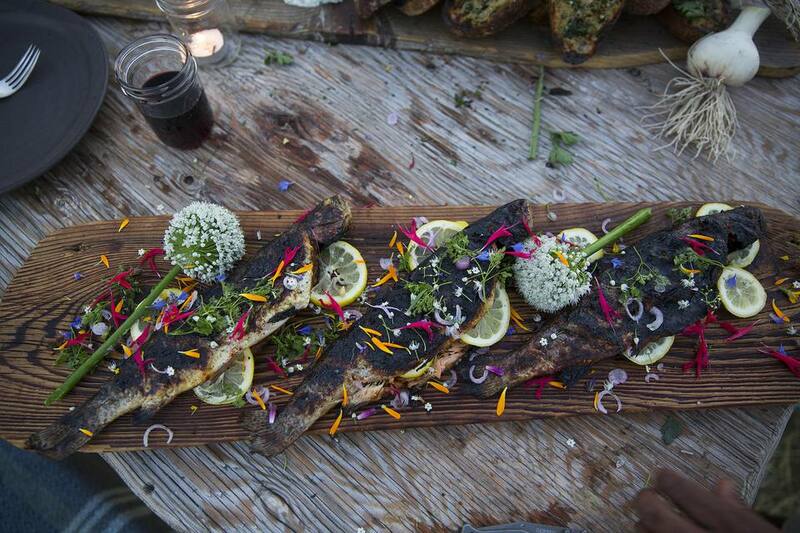 The smoldering of the wood is what creates the smoke and helps flavor the fish. You just don't want the board actually on fire. To prevent your fish from sticking to the board, very lightly brush it with cooking oil on the side that the fish will sit. There is no need to flip the fish. Plank cooking is indirect because the food is insulated from the direct heat. You do want the board exposed to the direct heat of your grill so that it can smolder. This style of grilling is a very basic process and since you won’t be flipping the fish or really doing anything to it while it cooks, this offers the opportunity to prepare other meal components like side dishes, sauces, and appetizers. Once you have the grill burning and the planks soaked, place the fish on the board, season and place the whole thing on the grill. Because the fish is being cooked indirectly it will take longer than if it's grilled directly. Plan on about 50% more cooking time versus regular grilling when cooking on a plank. During the cooking time, you can baste the fish with lemon juice, butter, or just about anything that isn't flammable. You don't want to inspire the flames. Once the fish is done, either remove the whole plank and fish with a pair of grilling mitts or slide the fish off onto a platter using a spatula. You get one use out of each plank. If using a gas grill, try to get the plank off the grill quickly because you don't want a lot of ash falling into the grill. If you are using a charcoal grill you can just let it burn off and clear out the ashes later. Plank grilling really is a convenient and easy way to grill. The flavors and ease have always made this a popular method. Once you've given it a try you will want to grill lots of dishes on a board. You can plank grill roasts, poultry, particularly those things that require a longer grilling time. Quick items won't gain much from the plank because they won't be exposed to the smoke long enough to get the flavor. Also, it's best not to plank cook items that need to be grilled hot and fast, like steaks or chops.